Celebrating yet another successful year, Honda adds a long list of awards and accolades to an already well decorated history. 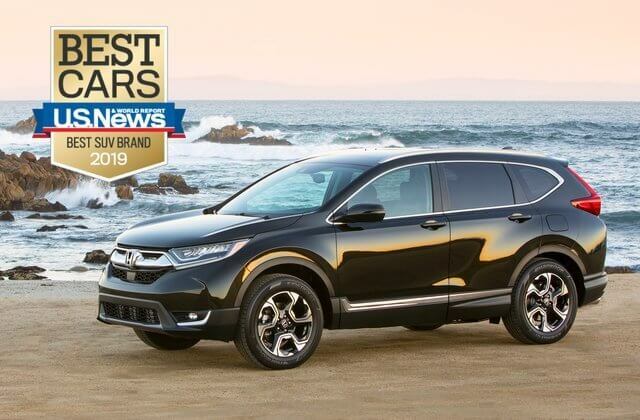 Honda, itself was Awarded Best SUV Brand for 2019 by U.S. News & World Report. U.S. News & World Report, November 2018. The Honda Fit gives buyers some serious bang for their buck as the entry-level vehicle in the Honda line-up. 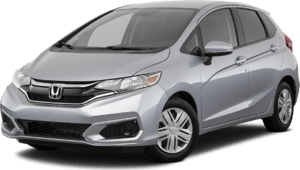 The Honda Fit features more passenger and cargo room than most other subcompacts and also comes well equipped with the latest technology and great safety ratings. The 2019 Fit has a 5-star overall vehicle score from NHTSA. The 2019 Honda Fit won the AutoWeb’s 2019 Buyer’s Choice Award for Best Hatchback. The 2019 Fit was one of several Honda vehicles to receive the 2019 Residual Value Award from ALG- Sub-Compact Car. Disclaimer: Model tested with standard side airbags (SAB). Government 5-Star Safety Ratings are part of the National Highway Traffic Safety Administration’s (NHTSA’s) New Car Assessment Program (www.nhtsa.gov). Based on ALG’s residual value forecast for the 2019 model year. 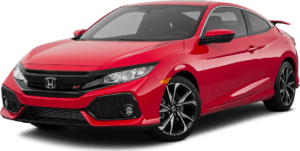 The Honda Civic has long been known for resilient reliability and efficiency. 2019 is no different. There’s a reason why you see so many Civics on the road, and it’s because it continues to give drivers an effortlessly efficient drive, one that stays out of the shop, and it doesn’t break the bank either. You made the Civic the Best Selling Compact car in its class. For the fifth consecutive year, the feature-filled 2019 Honda Civic has been named 2019 Best Buy of the Year among small cars according to Kelly Blue Book’s KBB.com. 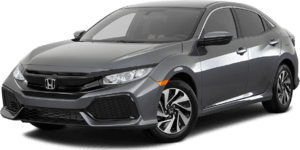 2019 Honda Civic is a 2019 Edmunds Buyers Most Wanted Compact Car. The 2019 Civic has a 5-star overall vehicle score from NHTSA. Disclaimer: Based on IHS Markit, CYTD July-2018 for non-luxury traditional compact car segment new retail registrations in U.S. For more information, visit Kelley Blue Book’s KBB.com. Kelley Blue Book is a registered trademark of Kelley Blue Book Co., Inc. Car and Driver January 2019. 2019 Civic Sport Hatchback-Si-Type R model tested with standard side airbags (SAB). Government 5-Star Safety Ratings are part of the National Highway Traffic Safety Administration’s (NHTSA’s) New Car Assessment Program (www.nhtsa.gov). The Honda Accord is a 2019 Edmunds Buyers Most Wanted Midsize Car. Honda Accord. One of Car and Driver’s 10Best a record 33 times & America’s Best Sedan. The smart and sophisticated 2019 Honda Accord has once again been named 2019 Best Buy of the year among midsize cars by Kelley Blue Book’s KBB.com. The 2019 Accord was recognized as the 2019 Edmunds Editors’ Choice for Best Sedan. The 2019 Accord has been awarded the coveted 2019 Top Safety Pick rating from the Insurance Institute for Highway Safety (IIHS) in recognition of its crash-safety performance- with specific headlights. The Accord has a 5-star overall vehicle score from NHTSA. Disclaimer: Car and Driver, January 2019. Car and Driver, November 2017. For more information, visit Kelley Blue Book’s KBB.com. Kelley Blue Book is a registered trademark of Kelley Blue Book Co., Inc. Model tested with standard side airbags (SAB). Government 5-Star Safety Ratings are part of the National Highway Traffic Safety Administration’s (NHTSA’s) New Car Assessment Program (www.nhtsa.gov). The 2019 Honda HR-V gives buyers another great option in the Honda fleet. This subcompact SUV gets terrific fuel economy for its class, along with impressive passenger and cargo space that you’d expect from a utility vehicle. 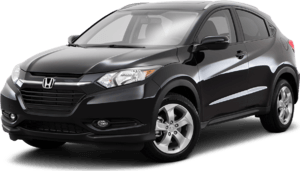 Capable of taking you off road, or through any downtown city, the Honda HR-V is a great option for the outdoors type, or people with small families. The 2019 Honda HR-V has a 5-star overall vehicle score from NHTSA. 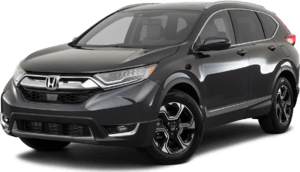 The 2019 Honda CR-V is the total package. Fuel economy? Among the best. Passenger and cargo space? Also outstanding. Handling and drive? Well, that’s something you have to experience in person to believe. Get inside the recently redesigned CR-V today, and see why it’s named as one of the best-selling CUV’s over the past decade! CR-V is the best-selling Crossover Utility Vehicle over the past decade according to IHS Market. Plentiful storage, athletic handling and excellent crash-test ratings make the 2019 CR-V the 2019 Edumunds Editors’ Choice for Best SUV. Leading its class for the fourth time, Kelley Blue Book’s KBB.com named the 2019 CR-V 2019 Best Buy of the year among compact SUVs. The 2019 CR-V has been awarded the coveted 2019 TOP SAFETY PICK rating from the Insurance Institute for Highway Safety (IIHS), with Honda Sensing® and specific headlights. Disclaimer: Based on IHS Markit US total new vehicle registrations of Crossover Utility Vehicles from 2008 through July 2018. For more information, visit Kelley Blue Book’s KBB.com. Kelley Blue Book is a registered trademark of Kelley Blue Book Co., Inc. When you mention the Honda brand, efficiency is one of the first things that comes to mind, and the 2019 Honda Insight continues that lineage. Getting up to an incredible 55 mpg city and 49 mpg highway, the Honda Insight is a leader in the hybrid class. The upgraded interior and loaded available technology are enough to make you forget that you’re driving a hybrid. Honda Insight is Green Car Journal’s 2019 Green Car of the Year. The 2019 Insight has been awarded the coveted 2019 TOP SAFETY PICK+ rating from the Insurance for Highway Safety (IIHS). The 2019 Honda Insight has a 5-star overall vehicle score from NHTSA. 2019 Insight named Green Car of the Year by Green Car Journal. Disclaimer: 55 city/49 highway/52 combined mpg rating for LX and EX trims. 51 city/45 highway/48 combined mpg rating for the Touring trim. Based on 2019 EPA mileage ratings. Use for comparison purposes only. Your mileage will vary depending on driving conditions, how you drive and maintain your vehicle, battery-pack age/condition and other factors. For more information see GreenCarJournal.com. For more information, visit Kelley Blue Book’s KBB.com. Kelley Blue Book is a registered trademark of Kelley Blue Book Co., Inc. Model tested with standard side airbags (SAB). Government 5-Star Safety Ratings are part of the National Highway Traffic Safety Administration’s (NHTSA’s) New Car Assessment Program (www.nhtsa.gov). For more information see GreenCarJournal.com. 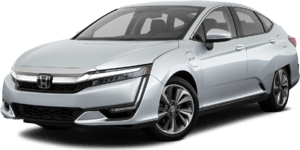 Combining the best of all worlds the Honda Clarity comes available as a hybrid, an electric, and as a hydrogen powered Fuel Cell model. The hybrid can take you up to 47 miles electric and 340 mpg combined, while the full electric Clarity gets up to 89 Miles, and the Fuel Cell goes up to 366 miles. With a class-leading 47-mile all-electric range rating, seating for five and Honda Sensing® standard, the 2019 Honda Clarity Plug-in Hybrid has been named 2019 Best Buy of the Year among electronic and hybrid cars according to Kelley Blue Book’s KBB.com. The 2019 Clarity has a 5-star overall vehicle score. Disclaimer: For more information, visit Kelley Blue Book’s KBB.com. Kelley Blue Book is a registered trademark of Kelley Blue Book Co., Inc. Model tested with standard side airbags (SAB). Government 5-Star Safety Ratings are part of the National Highway Traffic Safety Administration’s (NHTSA’s) New Car Assessment Program (www.nhtsa.gov). 110 combined miles per gallon of gasoline-equivalent (MPGe) electric rating; 44 city/40 highway/42 combined MPG gasoline only rating. 47-mile maximum EV mode driving range rating. 340-mile combined gas-electric driving range rating. Based on 2019 EPA ratings. Use for comparison purposes only. Your MPGe/MPG and driving range will vary depending on driving conditions, how you drive and maintain your vehicle, battery-pack age/condition and other factors. 89-mile combined driving range rating. Based on 2019 EPA mileage ratings. Your range will vary depending on driving conditions, how you drive and maintain your vehicle, battery-pack age/condition, and other factors. For additional information about EPA ratings, visit http://www.fueleconomy.gov/feg/label/learn-more-electric-label.shtml. Based on 2018 EPA range rating. Use for comparison purposes only. Your range will vary based on how you drive and maintain your vehicle, driving conditions, powertrain condition, and other factors. The ultimate family vehicle, the 2019 Honda Odyssey can fit up to 8 passengers with cargo room to spare! A V-6 engine with 280 horsepower gives drivers enough power to tow the entire family and do so in style with all updated technology from recent redesigns. Kelly Blue Book’s KBB.com has named the feature-filled 2019 Honda Odyssey 2019 Best Buy of the Year, minivan. 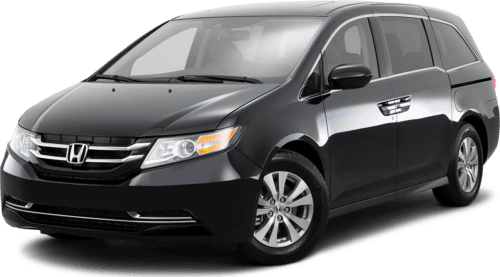 Honda Odyssey is the best-selling retail van in the U.S. according to IHS Market. The 2019 Odyssey has been awarded the coveted 2019 TOP SAFETY PICK rating from the Insurance Institute for Highway Safety (IIHS), with with Honda Sensing® and specific headlights. The 2019 Honda Odyssey has a 5-star overall vehicle score. Disclaimer: For more information, visit Kelley Blue Book’s KBB.com. Kelley Blue Book is a registered trademark of Kelley Blue Book Co., Inc. Based on IHS Markit, CYTD September-2018 for non-luxury traditional mid-size van segment new retail registrations in U.S. Model tested with standard side airbags (SAB). Government 5-Star Safety Ratings are part of the National Highway Traffic Safety Administration’s (NHTSA’s) New Car Assessment Program (www.nhtsa.gov). The perfect vehicle to take you anywhere you want to go, the 2019 Honda Pilot can perform on any terrain, on road or off. With seating up to 8 passengers, there’s no adventure too far. 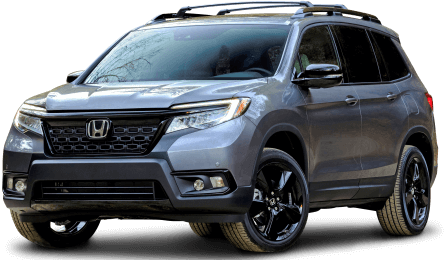 Plus, now coming with Honda Sensing and top of the line safety features and rating, the 2019 Honda Pilot keeps everyone on board safe. The spacious yet sophisticated 2019 Pilot has been named 2019 Best Buy of the Year among Midsize SUVs according to Kelley Blue Book’s KBB.com. The 2019 Pilot has been awarded the coveted 2019 TOP SAFETY PICK rating from the Insurance Institute for Highway Safety (IIHS), with specific headlights. The 2019 Pilot has a 5-star overall vehicle score. Disclaimer: For more information, visit Kelley Blue Book’s KBB.com. Kelley Blue Book is a registered trademark of Kelley Blue Book Co., Inc. Model tested with standard side airbags (SAB). Government 5-Star Safety Ratings are part of the National Highway Traffic Safety Administration’s (NHTSA’s) New Car Assessment Program (www.nhtsa.gov). 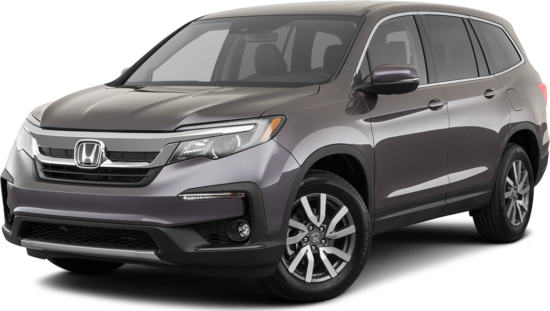 The 2019 Honda Ridgeline performs like a pick-up truck but drives like a sedan. Independent rear suspension gives the Ridgeline the smoothest ride in class, while providing ample passenger room and up to 5,000-pound max tow. Car and Driver has named the 2019 Ridgeline its 2019 Best Mid-Size Pickup for the third year in a row*. The 2019 Ridgeline has a 5-star overall vehicle score. Disclaimer: *Car and Driver January 2019. Model tested with standard side airbags (SAB). Government 5-Star Safety Ratings are part of the National Highway Traffic Safety Administration’s (NHTSA’s) New Car Assessment Program (www.nhtsa.gov). For more information, visit Kelley Blue Book’s KBB.com. Kelley Blue Book is a registered trademark of Kelley Blue Book Co., Inc.